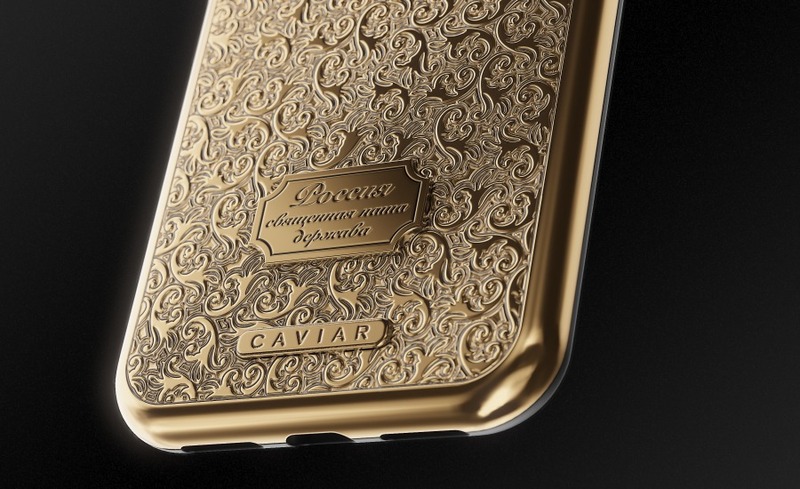 The classical luxury by Caviar performed in the sublime and monumental style glorifying Russia. 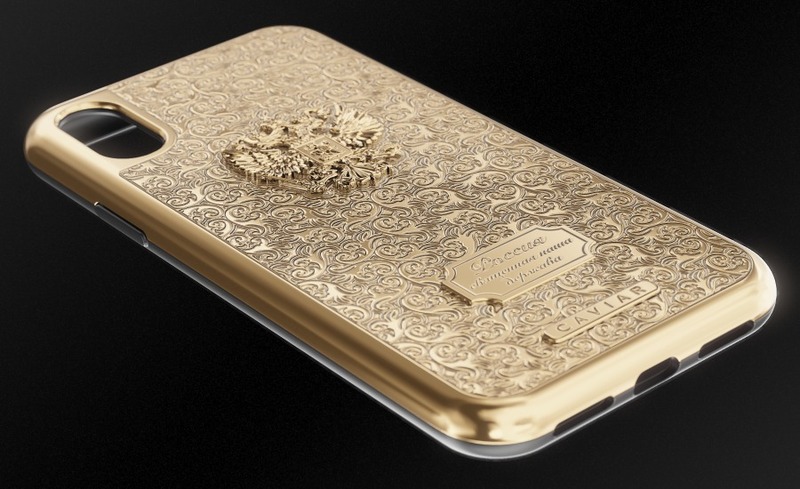 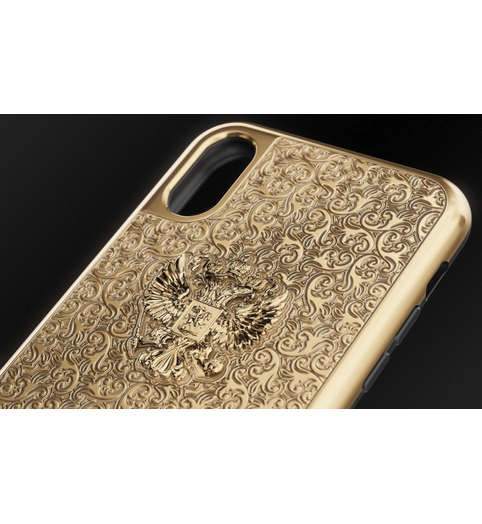 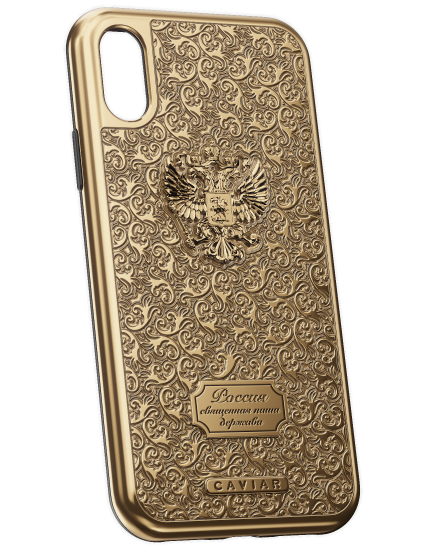 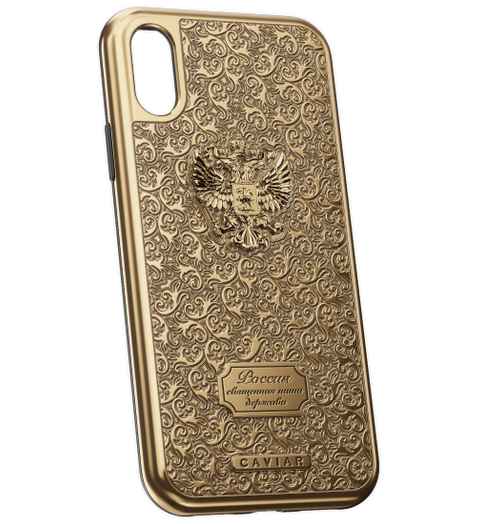 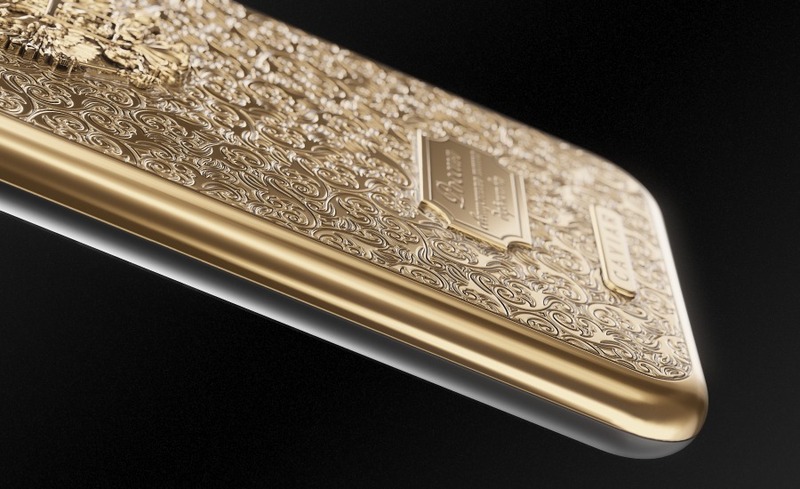 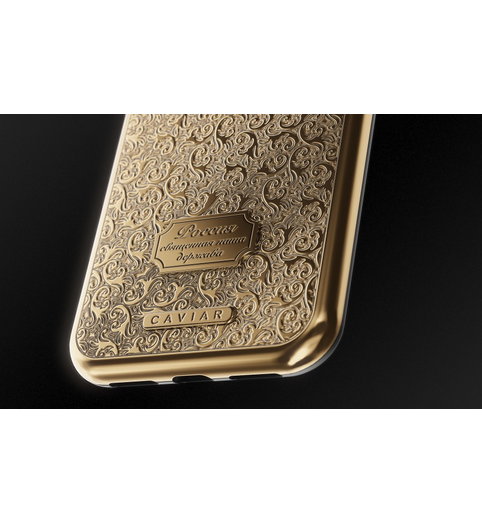 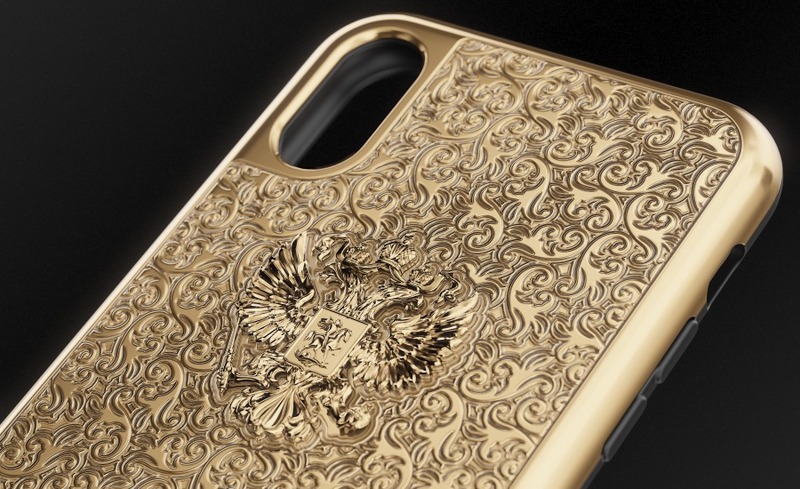 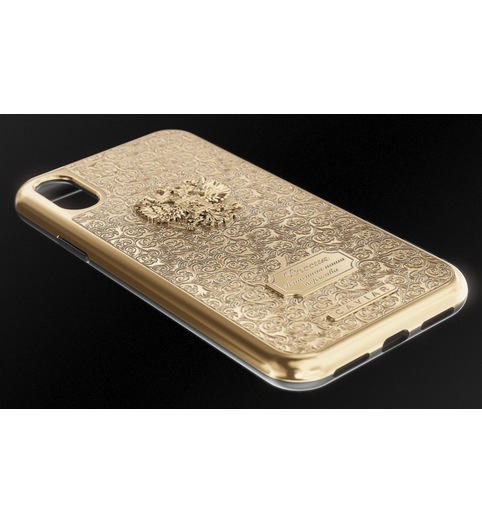 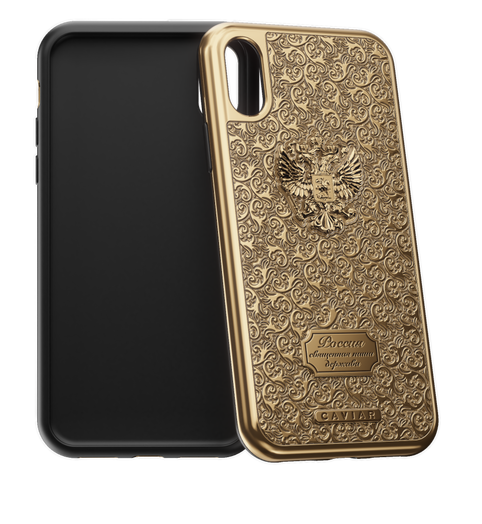 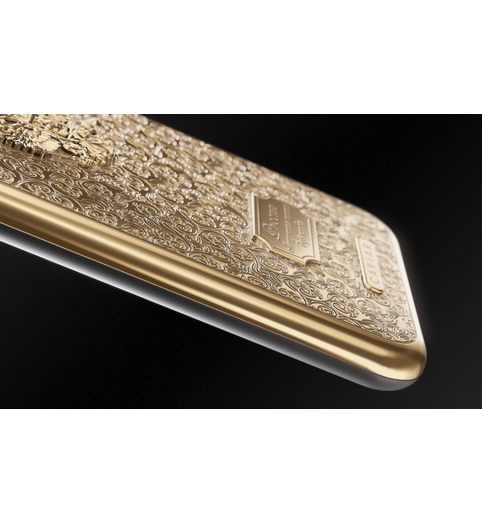 In the basis of the hard case there is a strong metal body decorated with luxurious pattern in the Russian style is complemented with a volumetric State Emblem and covered with gold. 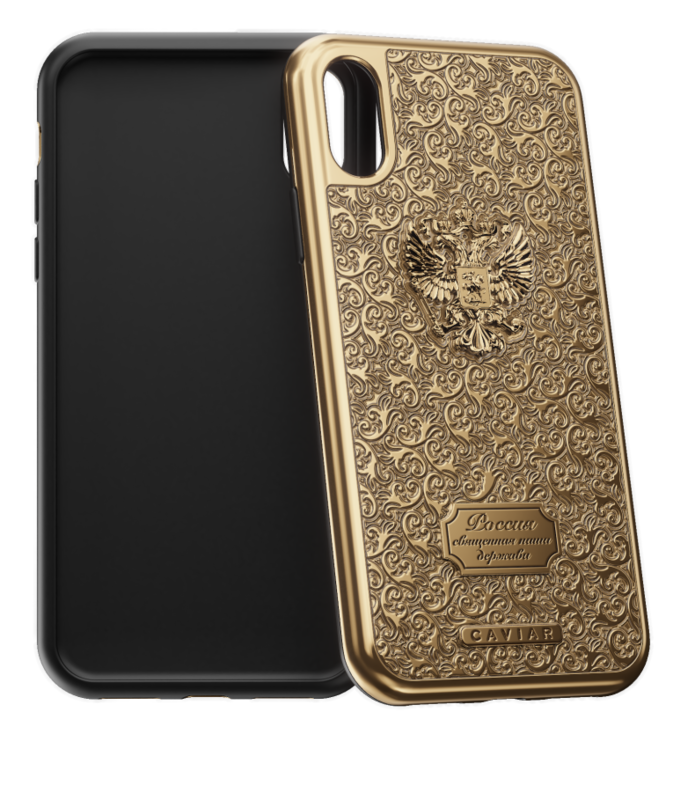 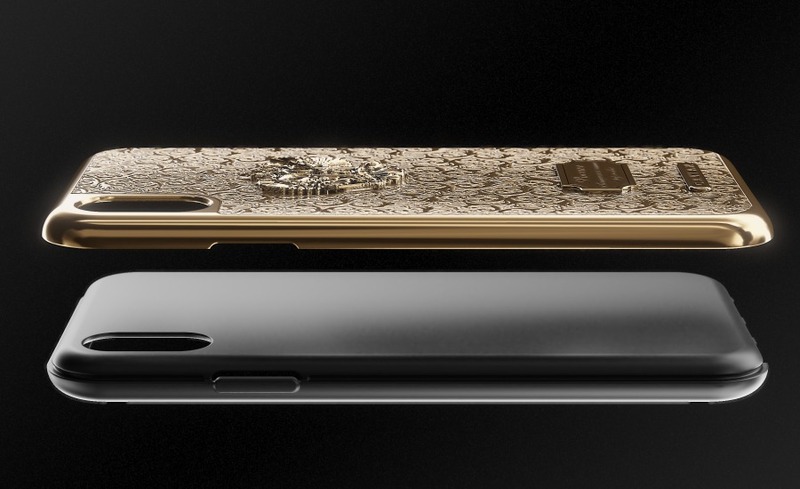 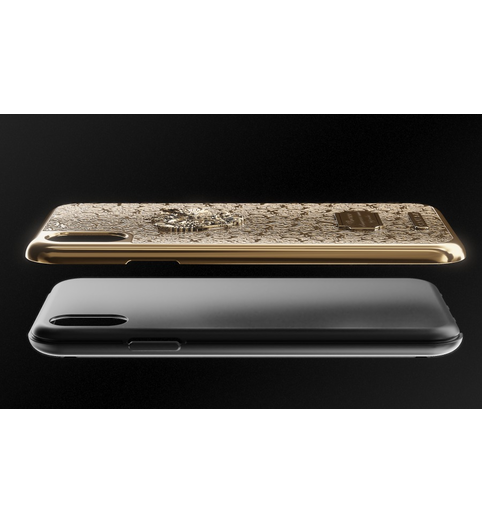 The tightly “sitting” case protects the phone excellently, literally becoming a solid armor for it and along with it, it allows the phone to look especially high-status and spectacular.